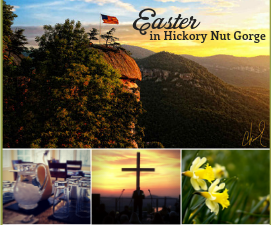 From the bucket list item of experiencing the sunrise service at Chimney Rock State Park to the long list of breakfasts, brunches, and lunches, Hickory Nut Gorge, NC is the place to be for Easter. Sunday, April 21st, 2019 multiple times. See Flyer.